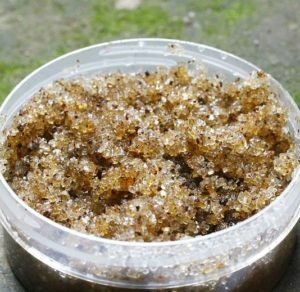 Why do a body scrub?. 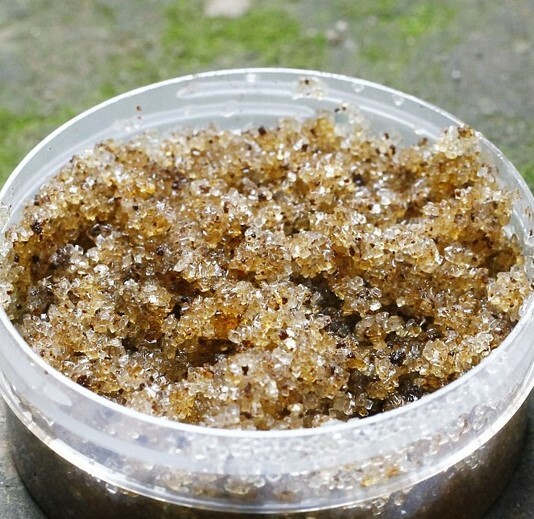 A scrub is a product containing a “gritty” exfoliant like salt, sugar, or ground up materials like fruit pits or seeds, mixed with nourishing and hydrating oils. Scents may be added for extra feel-good benefits. Exfoliating with a body scrub helps to remove dead skin cells, boost circulation to the skin, and leave you feeling cleansed and refreshed. 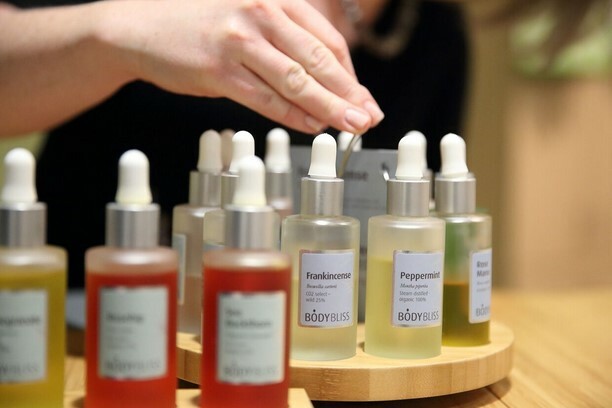 A benefit of removing dead skin cells is that your skin can better absorb hydrating products like lotions or oils. When you get a scrub at a spa, you’ll also enjoy incredible stress-relieving and muscle melting benefits. You’ll lay on a warm table and enjoy not only the sensation of exfoliation, but hot towels and light, circulatory boosting massage. 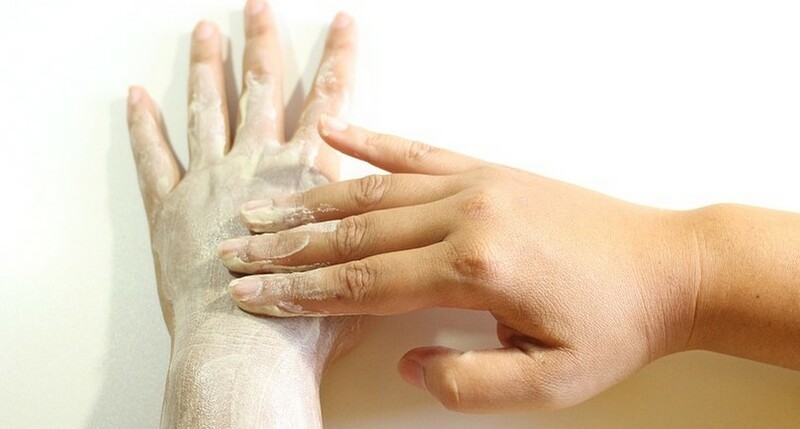 Depending on the type of scrub you you use and your skin type, you can exfoliate 1-3 times weekly, but don’t overdo it! A gentle exfoliation is sufficient, you don’t need to give your body the power-sander treatment. What’s the difference between salt, sugar, or other ingredients? Sugar: Sugar is one of our favorite exfoliating ingredients because it is gentle and a natural humectant, meaning it attracts and attaches moisture to skin. It is the best choice for sensitive skin. This may be a finer sugar, or a larger crystal sugar for different levels of exfoliation. Salt: Salt is mineral-rich and gritty, making it a popular choice for scrubs, especially for dry heels, elbows, etc.. Using a salt scrub on freshly shaved legs or on cracked hands might sting a bit. Seeds and pits: Ground apricot pits are a common exfoliation ingredient, along with other natural seeds. Look for these to be powdered, if they aren’t ground finely enough, they can be jagged. We don’t recommend this in facial scrubs. What are our favorite scrubs? Kelly, our Spa Director, loves the Farmhouse Fresh Watermelon Vodkatini Sugar Scrub because it smells delicious and leaves her skin dewy and soft. Curious about booking a body scrub? 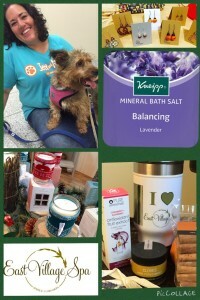 We offer a fun and therapeutic aromatherapy body scrub. First, you’ll meet with your massage therapist or esthetician to use our custom aromatherapy app to create a perfect essential oil blend for your needs. Your therapist will blend your recipe into a nourishing antioxidant and vitamin rich oil base. 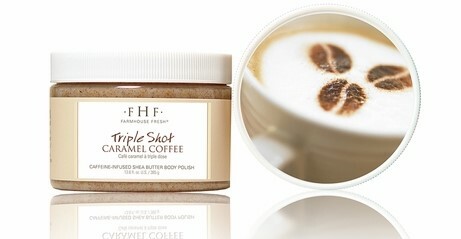 She’ll then use a milk and sugar blend to gently exfoliate your skin and boost circulation during the service. You’ll be treated to heavenly hot wet and dry towel compresses to remove the scrub and ease sore muscles. As a special gift, you’ll get to take home a jar of scrub in a matching essential oil blend to turn your shower into a mini-spa retreat. Book a scrub and see for yourself how wonderful they are, especially when the weather gets cold. I recommend adding an additional 30 minute back massage or 30 minute facial on for extra TLC, you won’t regret it! If there is one thing that the world needs more of, it is love. 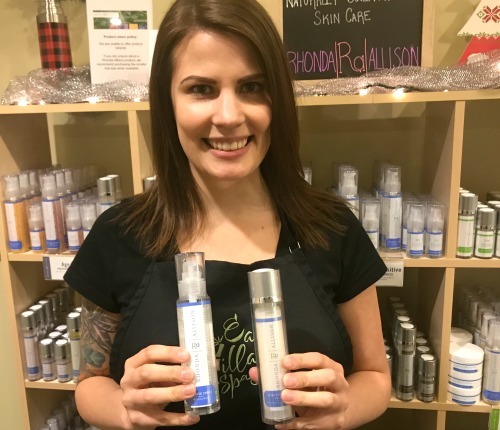 Whether you want to shower your significant other with TLC for Valentine’s Day, or you’re feeling the need to give yourself the gift of stress relief, love, and care (because you deserve it!) we’ve got some ideas that are healthier and more indulgent than a box of chocolates! 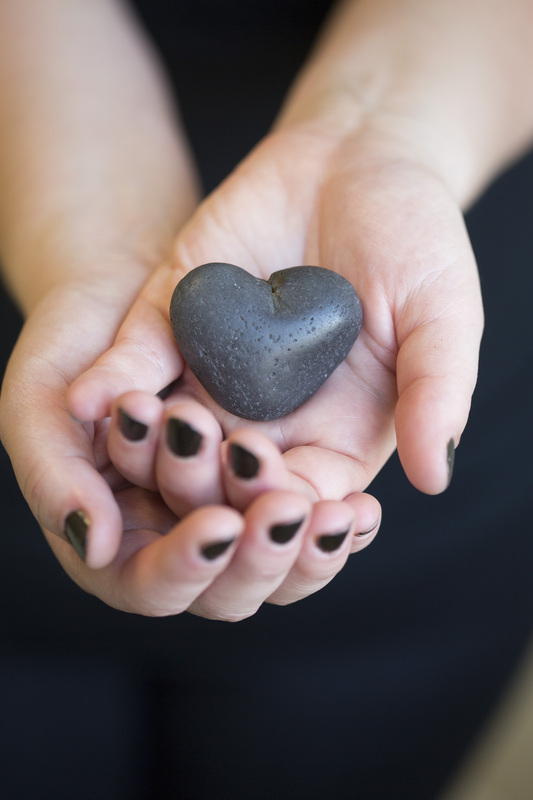 Whether you want to treat your sweetie to a couple’s massage or you are looking for TLC for someone who could really use some love this Valentine’s day, we offer gift cards in a variety of denominations online, or visit us in the spa to pick up a gift card and (and enjoy an organic chocolate treat while we put it together for you). 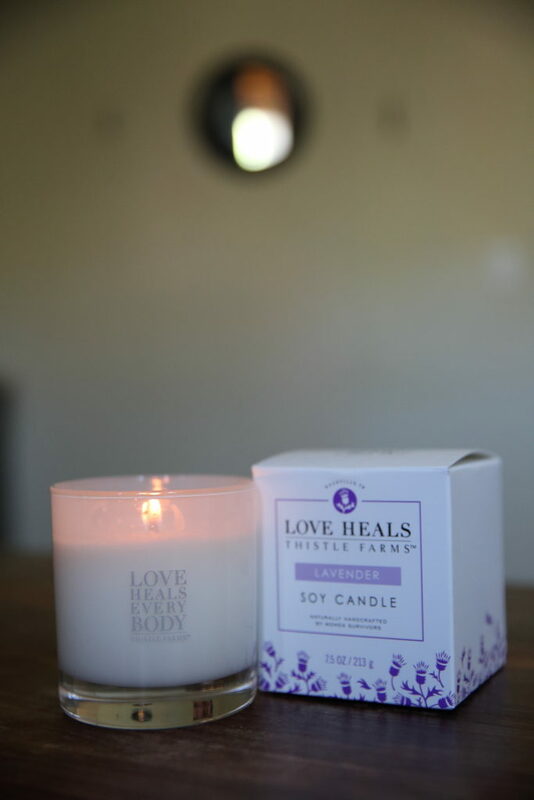 Need something perfect for a romantic or healing bath? We’ve got lots of great options! 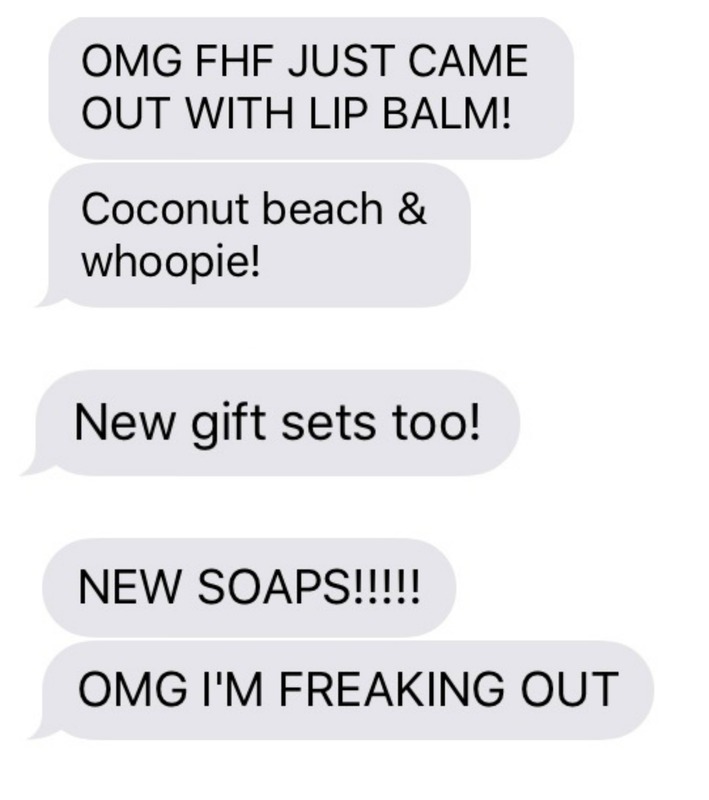 For a fun bubble bath that will leave skin super soft, try the Farmhouse Fresh Whoopie Cream Wash, a hydrating bubble bath/shower gel (that is also an awesome shaving cream!) 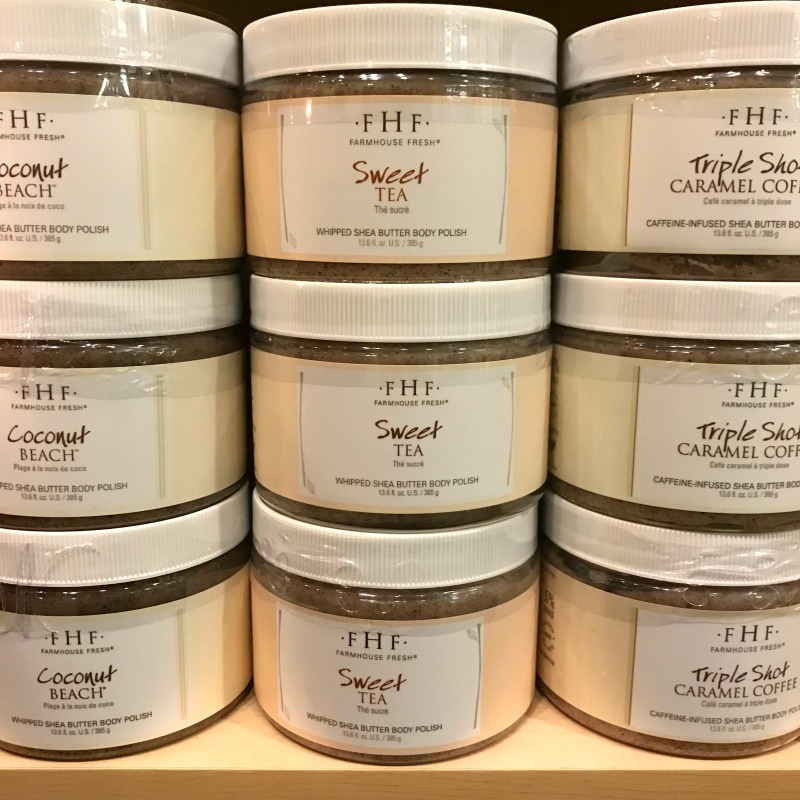 Farmhouse Fresh just released several new scents in this decadent formula that will be arriving at the spa on by 2/3/17! WE ARE SO EXCITED! For someone looking for an array of wellness bath care, the Kneipp line is perfect and has solutions for uplifting mood, opening sinuses, inducing sleep, and relieving pain. 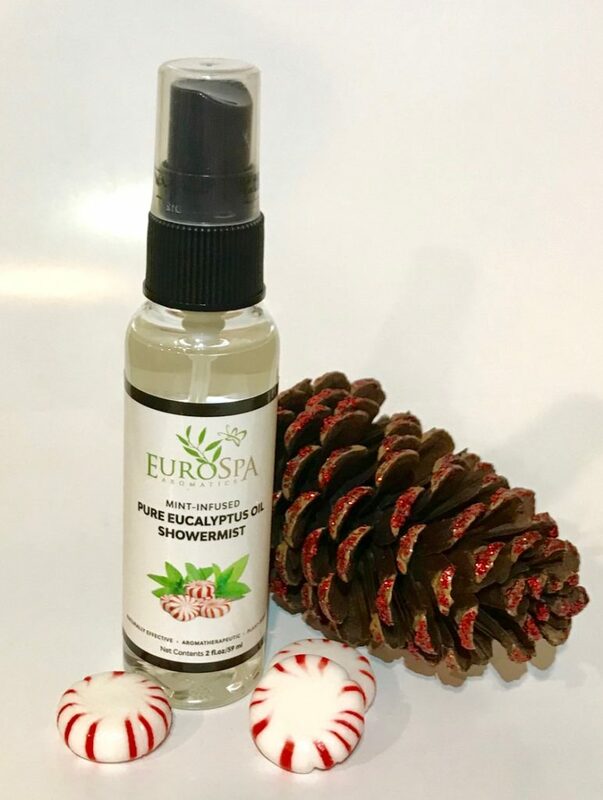 This line is available in a variety of sizes of salts, bath oils, and gift sets and is a favorite of our massage therapists for their own self care. A glass of wine and a soak in a Kneipp bath is a perfect way to love yourself. Ready to try to copy some of your massage therapist’s skills on your partner? 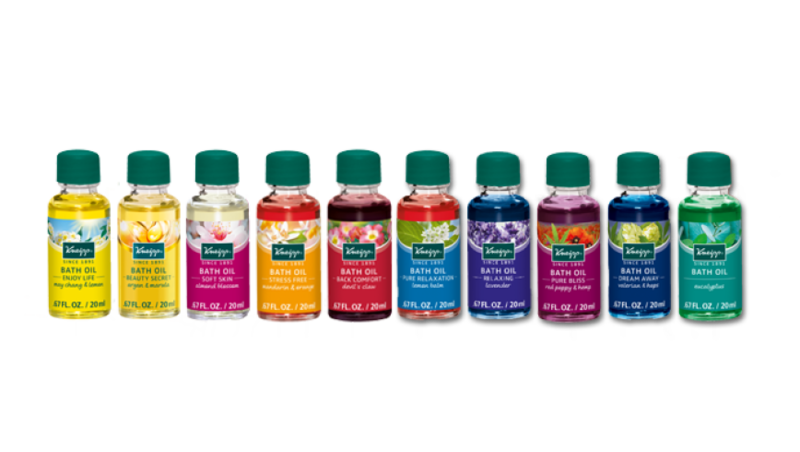 We’ve got lots of great options for massage oils to use at home. 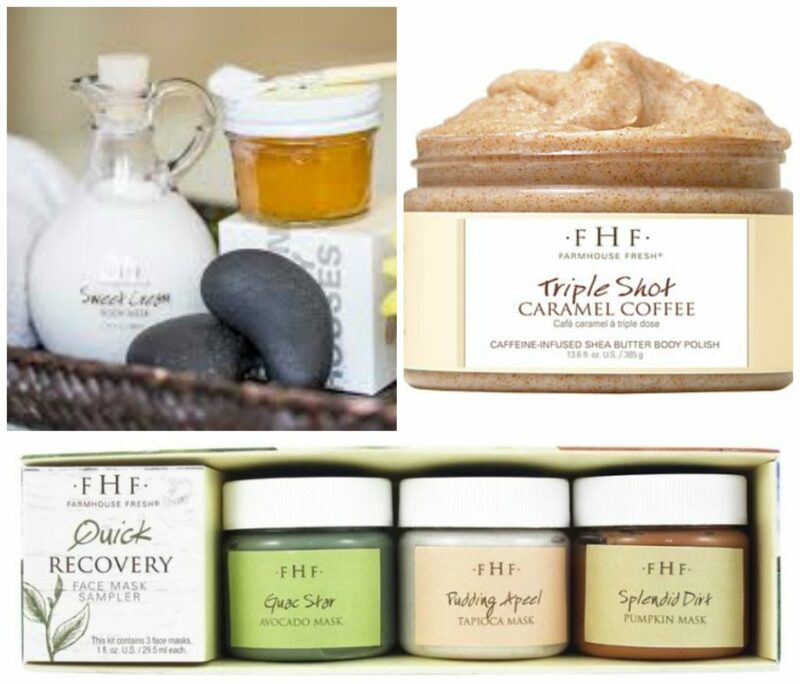 Our favorite suggestions are the Farmhouse Fresh massage oils (also great to add a bit to the tub for softer skin!) We have a variety of scents, but the Red Hot blend is a great warming scent for Valentine’s Day and would be a thoughtful addition to a gift of red roses. 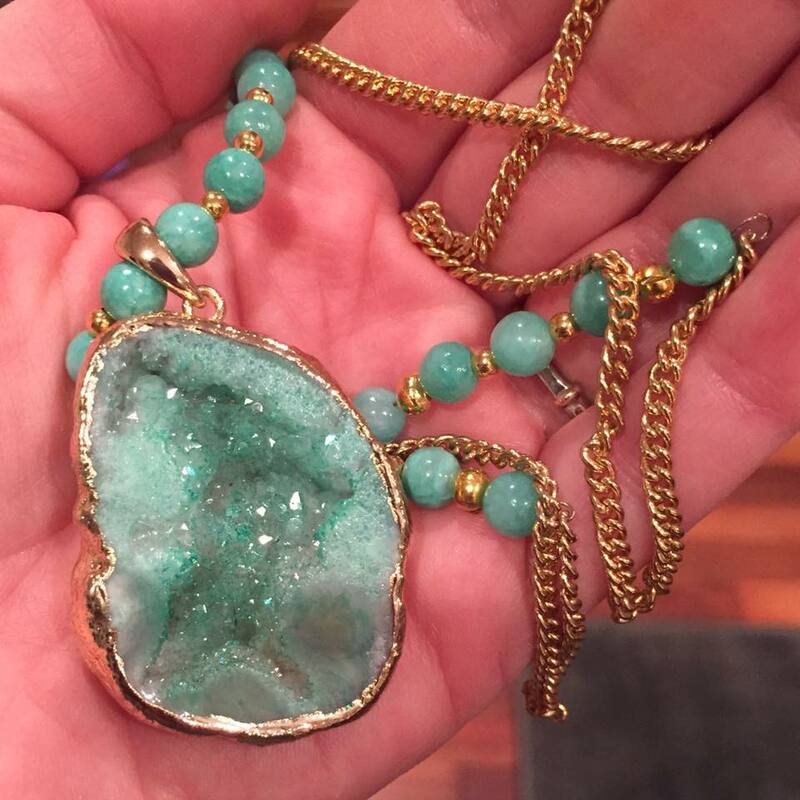 We carry assorted locally crafted jewelry from Heather Morphew Designs (especially popular are Heather’s beautiful earrings). We also feature Rescued Jewelry, a line of jewelry featuring some repurposed and recycled components, with 100% of the profits donated the Basset and Beagle of the Heartland Rescue. A perfect gift for someone who loves animals! Wholesome food prepared in creative ways is a perfect way to celebrate Valentine’s day. Two of our favorite picks in the East Village are Hoq and Alba. 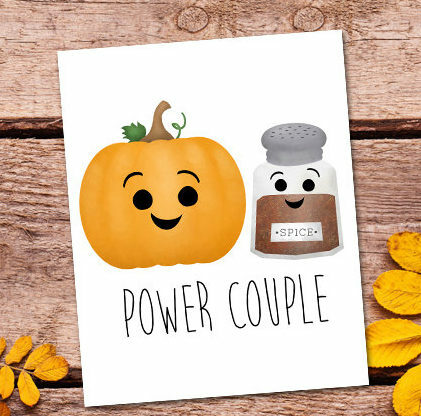 Both use seasonal, fresh, ingredients and artistically craft delicious and indulgent meals. While Valentine’s reservations are hard to come by, pick a quieter time to enjoy a more leisurely dining experience. Hoq and Alba offer great options for vegetarian and gluten free diners as well! Going solo? Both restaurants offer bar seating that is perfect for taking yourself on a date. You deserve it! Book yourself some time for TLC! The best gift you can give yourself or your loved ones, in our opinion, is time to relax and renew your spirit at the spa. Schedule online or call (515) 309-2904 for assistance with booking. We look forward to seeing you! Every year we like to compile a list of our current favorites for dry, chapped skin. This year we have some new additions to the mix! 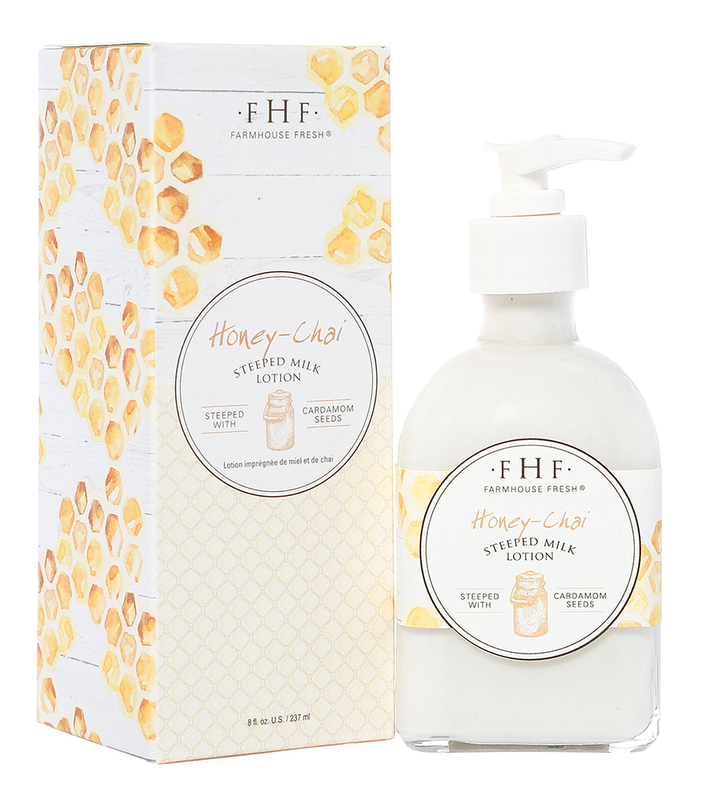 Farmhouse Fresh Shea Butter Hand Creams: Shea butter and Vitamin E-packed Jojoba and Soybean oils calm even the severest of dry skin. 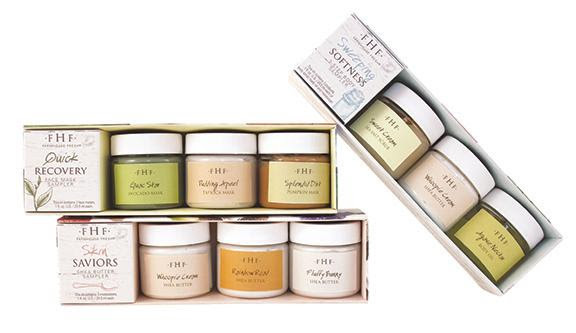 We recommend the shea butters over the body milks for this time of year for a longer lasting burst of hydration. The purse size tube is just $14. Solar Oil Cuticle Oil: Hand cream is a must have, but it won’t quite do the trick to hydrate cuticles. A cuticle oil that is designed to penetrate better into the nail are than thicker balms should be used morning and night to help prevent painful hangnails and dry cuticles and that can open the way for infections. The mini bottle is just $2.50 so you can keep one in your car, one on your night stand, and at your desk! 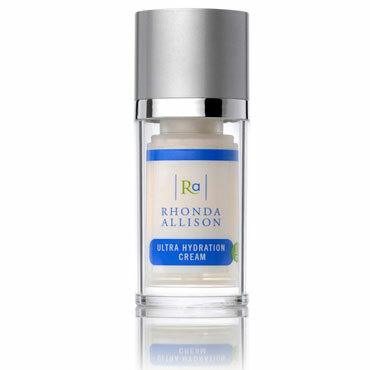 Rhonda Allison Ultra Hydration Cream: This is a rich moisture cream that delivers and binds humectants within the skin. 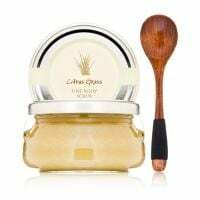 It contains the purest and most potent form of hyaluronic acid – L-Sodium Hyaluronate and Cassia Betaglycan (plant hyaluronic) to increase moisture by 300%. Hyaluronic Acid is said to be the principal water-regulating molecule and can bind up to 6,000 times its weight in water. Because of this, it will keep skin hydrated all day or night, without going on heavy or oily. 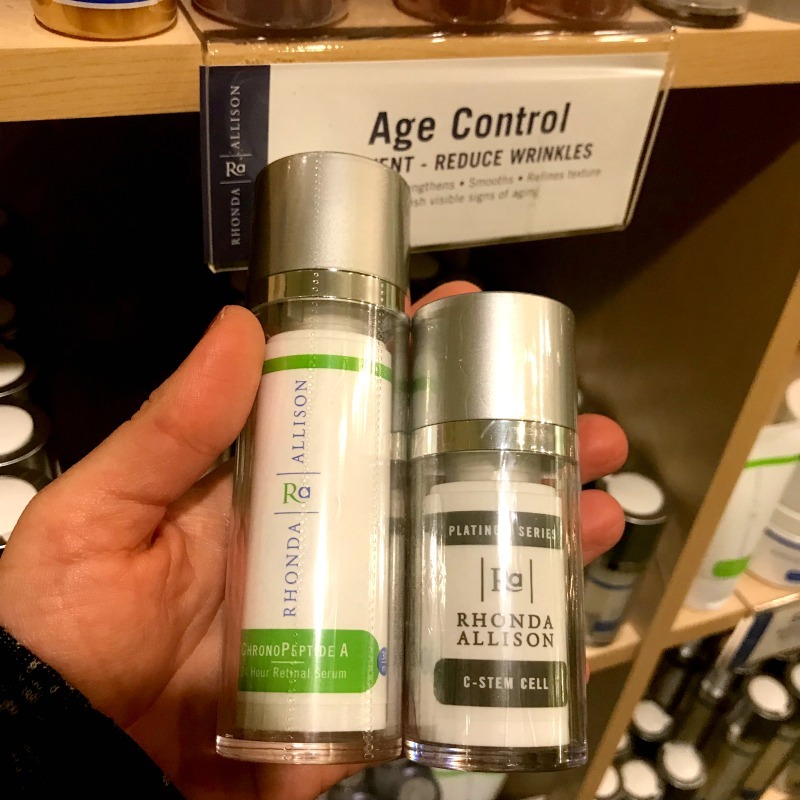 $15 for the trial size bottle. Book a visit! 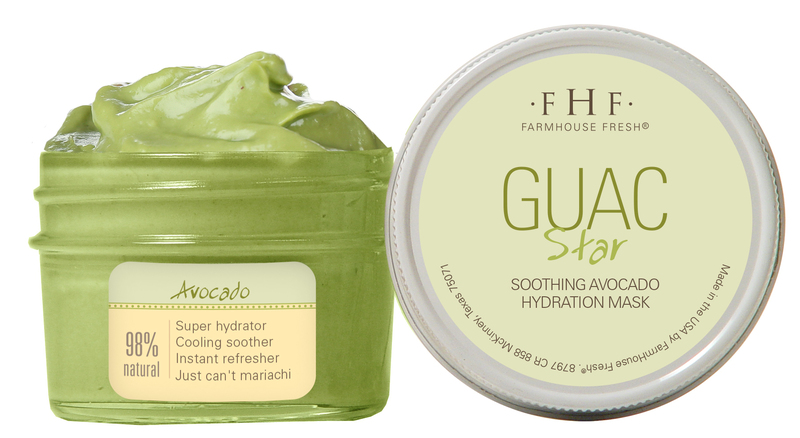 Need more than home care to ease your dry skin? 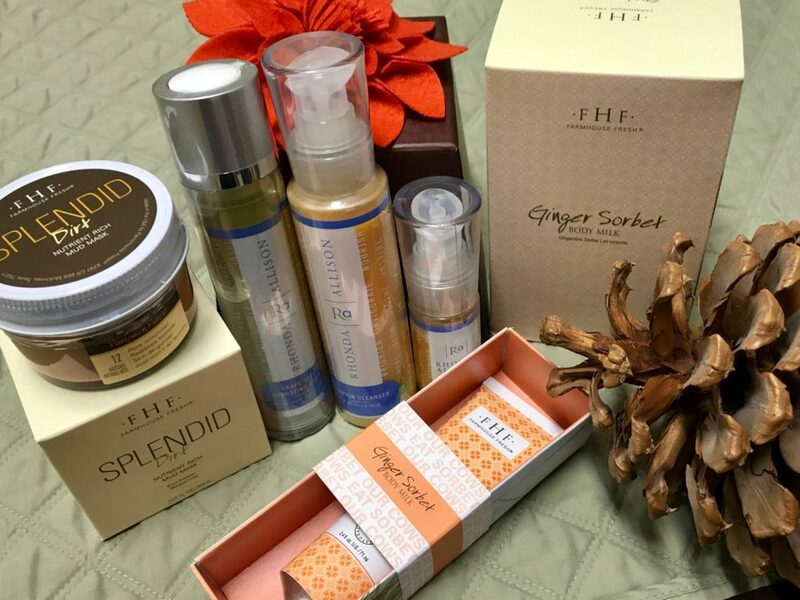 Our favorite skin hydrating services are the Gong Fu Chai Body Scrub, our EV Signature Facial Experience, and the EV Signature Manicures and Pedicures. Our Seasonal Hydrating Honey Plum features are also designed with winter skin in mind! To learn more or book your services, visit our website! Aloha Summer 2016 Specials Coming Soon! Our long-awaited summer specials announcement is here! This year we were inspired by island travel, cocktails on the patio, and barefoot afternoons in the grass. Aloha summer specials are available June through August 2016. You can book prior to June 1st by calling (515) 309-2904 and after June 1st online or by phone. 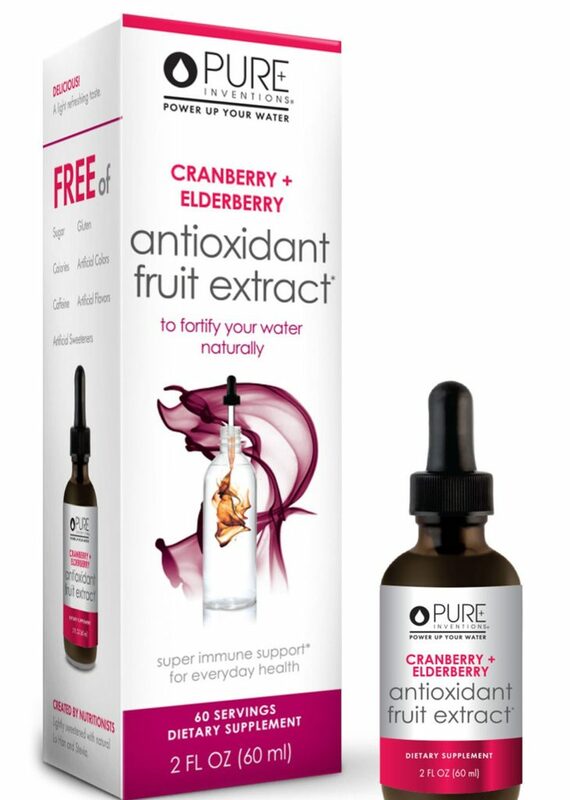 While you’ll feel like you’re relaxing on an island, the hard-working extracts of hibiscus flowers and fruits like pineapple will help to hydrate and brighten your skin while providing powerful antioxidant support. 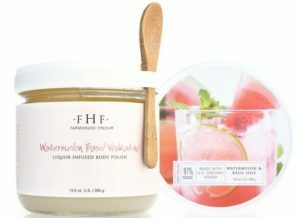 This is an ideal facial for summer skin damage. Celebrate summer with this fun and relaxing full body massage that includes the added benefits of agave nectar massage oil, a citrus scrub for your back, followed by a hydrating avocado back mask to nourish hard-to-reach skin on your back while your therapist massages your legs. This massage pairs perfectly with a day spent relaxing on the patio! Standing at music festivals, running races, or walking at the fair can stress your soles! This indulgent foot massage includes a coconut milk towel wrap, citrus grass scrub, and fresh melon foot massage that incorporates elements of deep tissue, reflexology, and hot stone massage. 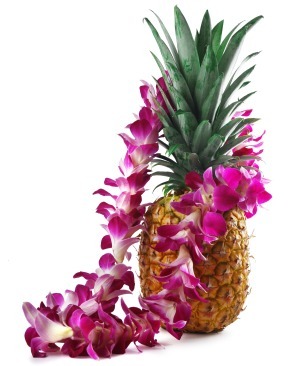 Book YOUR Aloha spa getaway by calling (515) 309-2904 before June 1st or booking online after June 1st. Services are available June 1 through August 31, 2016. We can’t wait! 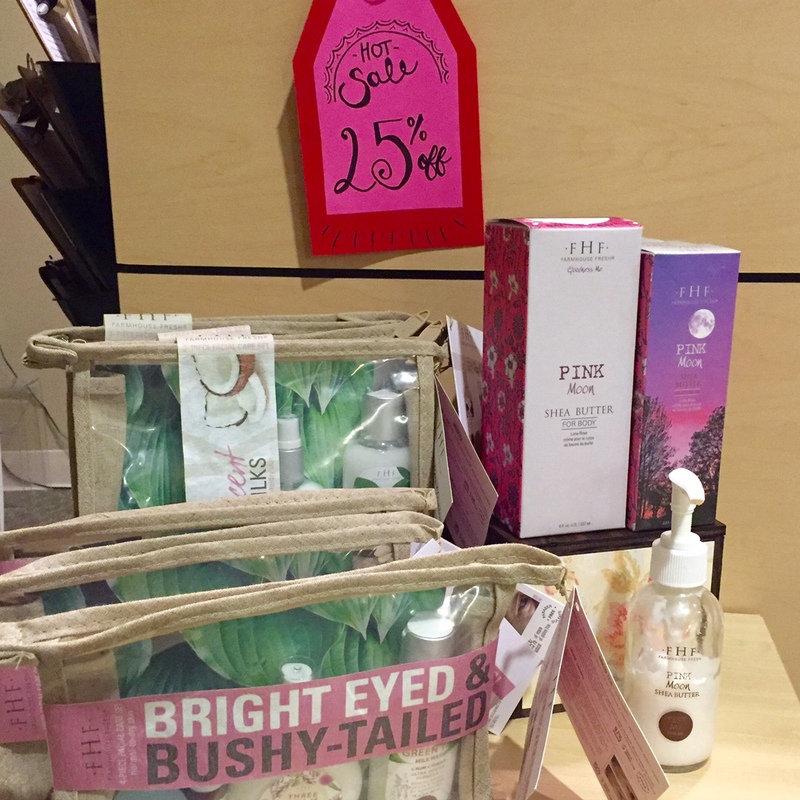 Whether you need a perfect hostess gift or some Easter basket fillers, we have lots of cute options…including some on sale! 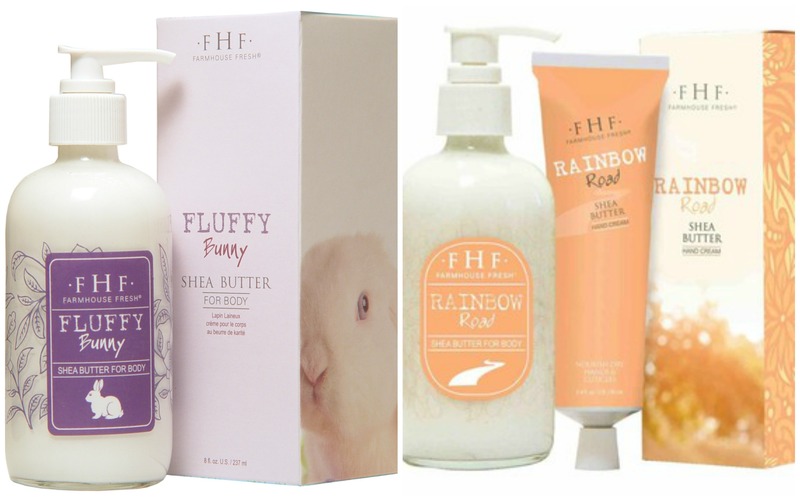 This Bunny Loves You set includes a Fluffy Bunny (lavender mint) hand cream and a sweet cream salt scrub. It is so pretty it doesn’t need a basket! 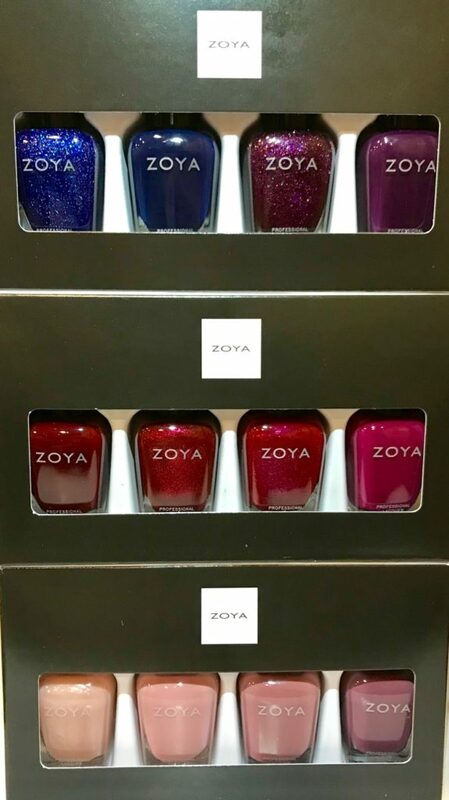 For sisters and nieces: Nail polish minis (Zoya sets are 15% off through April 30th, 2016. The Zoya lips and tips quad includes 3 spring minis and a coordinating lipstick. The Vinylux Flirtation gift set includes 4 polishes minis and fast dry topcoat mini. These sets are perfect to give whole or split to fill Easter eggs! 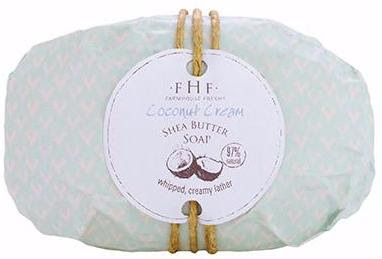 For moms, co-workers and your BFF: Farmhouse Fresh spring scented shea butters. These scents are 15% off through April 30th, 2016! Farmhouse Fresh has tons of delightful scents, but our two favorites for sprin are their Fluffy Bunny (lavender mint) and Rainbow Road (pear). 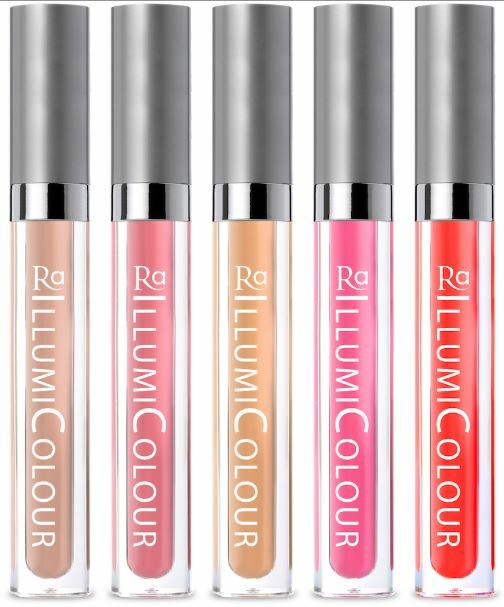 They come in a beautiful jar and a purse size hand cream tube. Whether you’re hosting a big Easter gathering or worn out from getting your garden beds ready for spring planting, you deserve a trip to the spa. 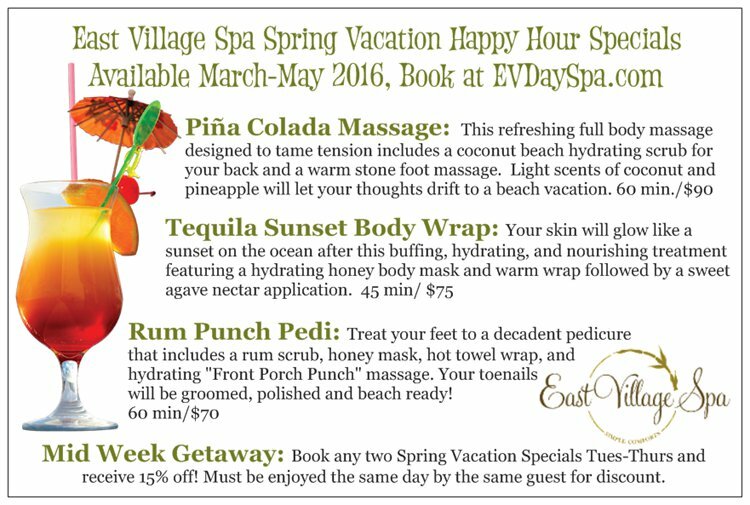 Check out our fun spring specials and book YOUR spa visit here! Thanksgiving and other winter holidays are just around the corner and it is time to start thinking of a nice way to thank your hosts! We have a few fun alternatives to wine or flowers. A donation to their favorite charity. Whether an animal rescue like one of our favorites, Fluffy Butts, or a donation to your local food pantry in their name, this is a gift that your host AND a great charity will appreciate! 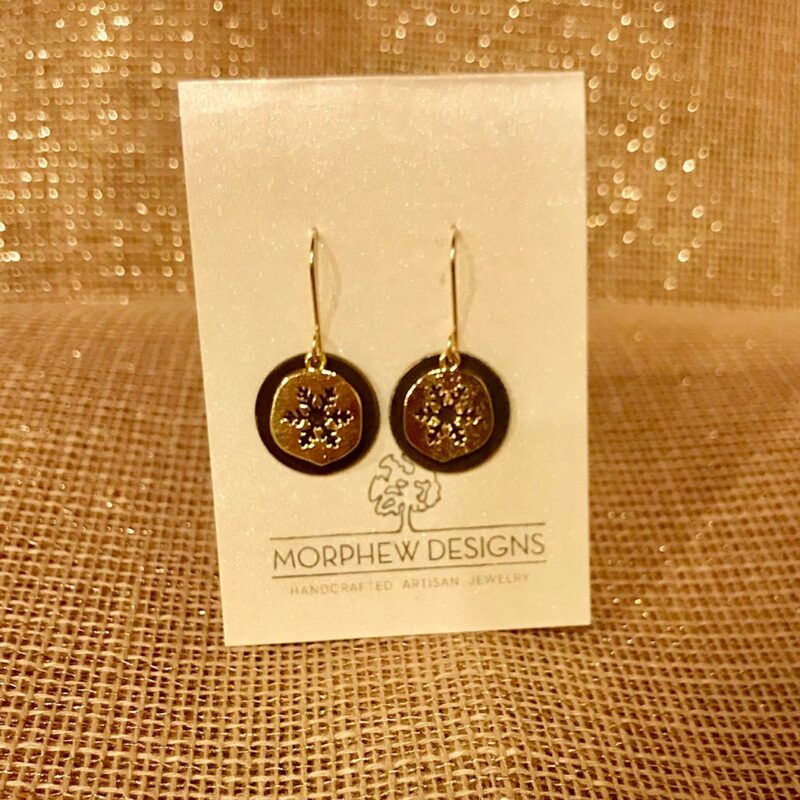 Locally crafted goods like Morphew Designs Earrings. We carry a beautiful assortment of Morphew Designs jewelry, but a gift from a local artist is a lovely gesture for both the recipient and as a way to support a small business or artist. 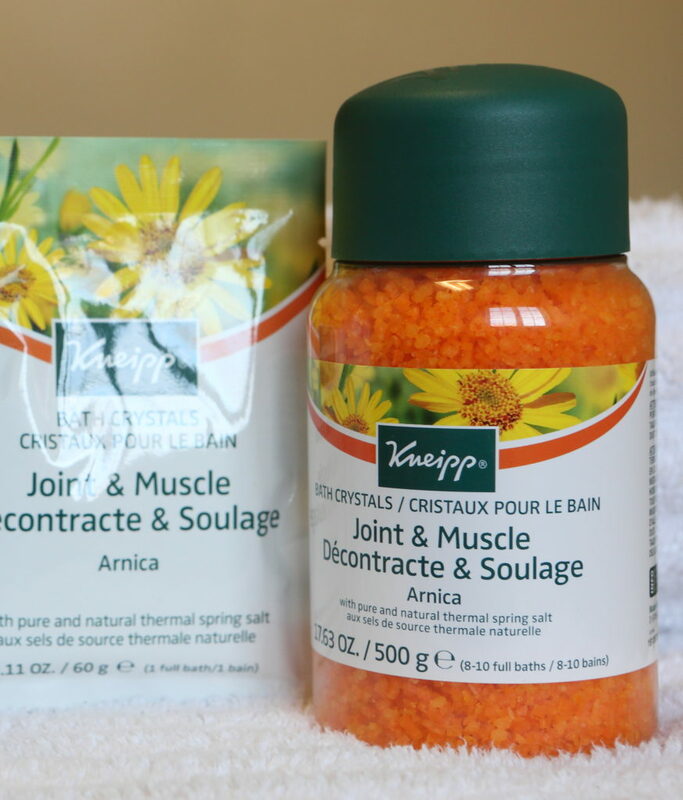 Kneipp bath salts are a wonderful gift for a host who is preparing an entire meal! Nothing better than an aromatherapy bath to unwind after a busy day cooking. 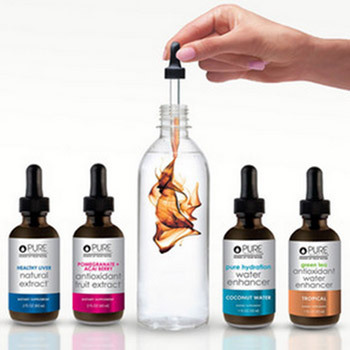 Pure Inventions drink mixes for a healthy and delicious alternative to wine, especially if you don’t know whether the host drinks. Our favorite for the holidays is the Cranberry Elderberry packaged with cloves and cinnamon sticks from Allspice. An East Village Spa gift card is a great way to thank a local host, especially one who has overnight guests! A massage is a great way to recover from the full house frenzy. You can even purchase one to email or print from home at www.EVDaySpa.com! Farmhouse Fresh Candles. Not only are these candles perfectly scented for winter holidays, they come wrapped in cute festive sweaters that can be reused as coffee coozies! 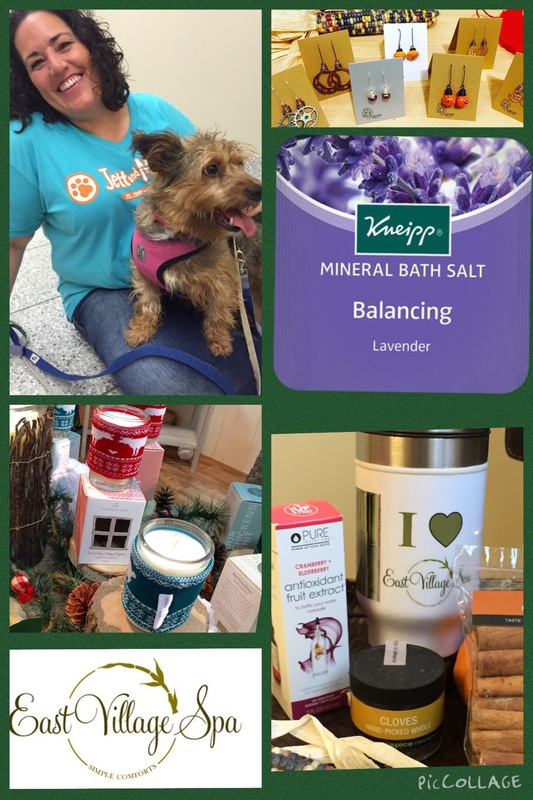 Plus Farmhouse Fresh donates a portion of their sales to animal charities, which we adore. Are you the harried host this season? Be sure to book yourself a spa service or two after the festivities. Having something relaxing on the horizon is a great way to manage stress. You can get through just about any crazy meal if you know you have a massage a few days away! Book yours online!